You’ll find all the answers to my most commonly asked questions here. Don’t see the answer you need? No problem – simply fill in the contact form with any questions that you might have. Where are you based, and can you travel to our wedding? I spend most of my time as a documentary wedding photographer in Dubai, Abu Dhabi and the rest of the U.A.E. The rest of my time is spent in the U.K (London), however, I love to travel and there is no place too far for me to go. I’d be delighted to travel abroad to capture your special day if you give me the honour! What’s the best way to discuss our wedding with you? 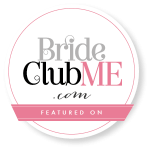 To get started, simply fill in the contact form here, letting me know the date and any other details of your wedding. I like to get to know you before the big day to make sure you feel comfortable, reassured and in control – so I’m always happy to meet for a friendly, informal chat over a cuppa if you prefer. If this Isn’t possible or if you live abroad, we can have a chat over Skype or via a phone call. Yes – with all wedding collections, wedding videography can be added on as an option. My team’s style of shooting creates a cinematic feel whilst still being narrative as we shoot in a documentary manner. Currently, I don’t offer it as a standalone service. and honoured to be in the top 3 for Dubai. 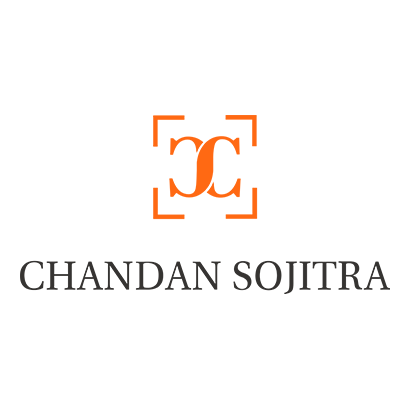 It is a membership-based organization, that represents professional photographers skilled in the documentation of weddings and events in a candid, unobtrusive style. The WPJA was founded to uphold excellence in the area of wedding photojournalism. Membership in the WPJA depends entirely on photographers meeting high standards for inclusion. One CANNOT simply pay his/her way into the WPJA. Yes – I am fully insured to shoot photos worldwide. I’m more than happy to provide insurance certificates for your venue or wedding planner’s records if needed. Can you arrange for a second photographer? Although at times I shoot alone, I also have a small team of talented photographers on hand, who have a knack for telling a story through their cameras. If you’re having a particularly large wedding or just want to make sure moments are captured from multiple angles, I’m more than willing to arrange this. How do we secure a date and book you? I’m honoured that you’d like me to be a part of your big day. After we’ve had a chat and agreed on the details, you’ll simply need to sign the booking agreement and put down a 50% retainer. Once this has been received, the booking is confirmed, and you’re all set! Don’t worry, everything is electronic so there’s no need to send back anything in the post! Do you cover all types of weddings? 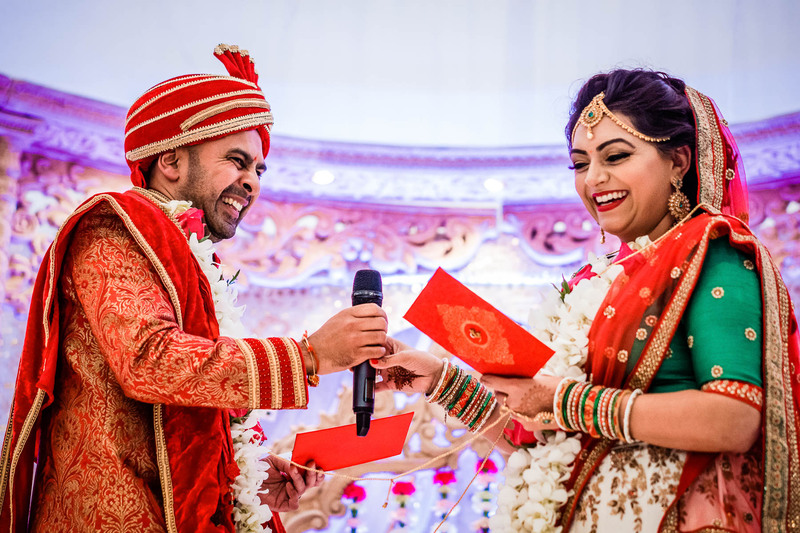 Yes – although I specialise in Asian wedding photography, I cover all types of wedding ceremonies including; Sikh weddings, Emirati weddings, church weddings, civil ceremonies, Jewish Weddings, Muslim Weddings and so many more. As a documentary wedding photographer, my style of shooting helps me capture the moments that matter the most in a candid way, to tell the story at its best, regardless of faith or religion. We don’t like having our photos taken and find posing awkward – what do we do? You don’t need to do anything – just relax, and enjoy your day. My discreet and unobtrusive shooting style means that you’ll forget I’m there most of the time! I keep posing and directing to a minimum, so don’t worry about feeling uncomfortable or awkward. It’s your wedding, I’m there to shoot photographs that capture the true and honest essence of the day. I even offer Soul Shoots® before the big day – This informal session gives us a chance to get to know each other better and helps me to understand your relationship better so that I can look out for all the hidden moments on your special day. Will you bring back-up equipment with you? Yes – your big day is far too important to be spoilt by a flat battery or faulty equipment! I bring at least two cameras as well as multiple flashes and lenses, to ensure I’m prepared for every scenario. When will we get to see our photographs? I understand that waiting for your wedding photographs can be almost unbearably exciting. That’s why I aim to produce an online slideshow and a collection of all edited images within 8 weeks. Will we receive high-resolution copies to print ourselves? Of course – you’ll receive a copy of all the high-resolution images which will be individually edited. Yes – I offer a range of wedding albums which are available in a range of different sizes to suit different budgets and needs! 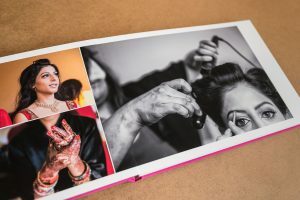 I also design the wedding albums myself – after all, it is me who is telling your story, so I love sharing my vision and creating a story to immortalise your big day forever. Click here to see some images of the stunning wedding albums that I offer. Have any other questions or want to discuss your special day? Fill out the contact form below and let’s talk!